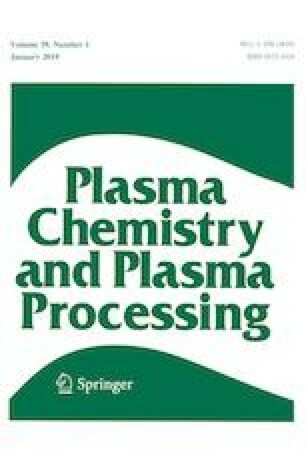 The comparative study of SiC and SiO2 etching kinetics as well as the evaluation of SiC etching mechanisms in CF4 + Ar, Cl2 + Ar and HBr + Ar gas mixtures in inductively coupled plasma reactor were carried out. For each binary gas system, the experiments (SiC and SiO2 etching rates measurements, plasma diagnostic by Langmuir probes and optical spectroscopy) were conducted with variable fractional compositions of a feed gas at constant input power (700 W), bias power (300 W) and overall gas pressure (6 mTorr). The 0-dimensional (global) models for CF4 + Ar, Cl2 + Ar and HBr + Ar plasmas provided the information on the steady-state densities and fluxes for halogen atoms as well as on the ion energy flux to the treated surface. It was found that the transition toward Ar-rich plasmas in all investigated gas systems: (1) provides the non-monotonic (with a maximum at ~ 50–60% Ar) SiC etching rate; (2) leads to the monotonic decrease in both halogen atom density and flux; and (3) results in increasing both ion energy flux and effective probability for SiC + F, Cl or Br reactions. It was shown that absolute differences in effective reaction probabilities are in agreement with corresponding ion energy fluxes and reaction threshold energies.